I will be giving my honest review of the Four Percent Challenge, and we will answer the question that everyone wants to know! Is Four Percent Challenge a scam? This has been a challenging product/ service to review, because the outcome is a little complex! Read on for the explanation! Or you can CLICK HERE for my #1 way to make money online! H, I’m Mike and I joined the Four Percent Challenge several months ago. The image below is my Pro level Profile Dashboard ! This review has been a challenge as you will see because there are positive and negative aspects that make a definite answer tough, but when you read the explanation , you will have the tools to make your own decision . 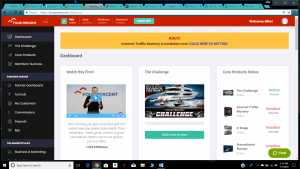 If You are sick and tired of sifting through scams to find a way to make money online, I would like to invite you to check out my #1 rated way to make money online and do it for free! CLICK HERE for more information! Watch my Four Percent YouTube review here ! I have already found a training and mentoring platform I really love, but was looking for a second training platform that used different strategies because I was trying to think logically about online business and equate it to any other level of education. For example you can’t get a complete education by just taking one subject like math when you are in school. You also need science and other subjects to have a well rounded education. I will explain the experience and what I have learned thus far, and let you decide if you think Four Percent Challenge is a scam or legit. I will then end this review with my honest assesment! So, What Is The Four Percent Challenge? After the first seven days the training is $49 per month. 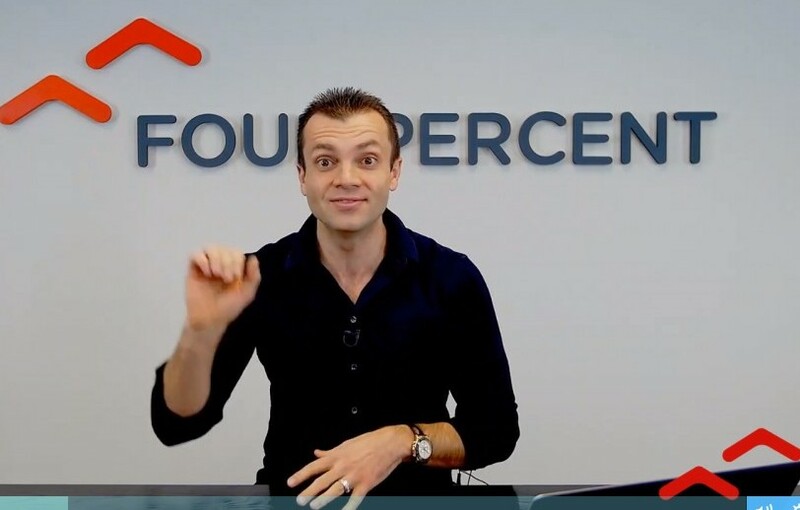 The Four Percent Challenge is a system that was devised and implemented through the use of video instruction and other tools by online entrepreneur VickStrizheus Who is known for his high ticket coaching, and an expert in traffic generation. Some of his accomplishments include High Traffic Academy, Project Breakthrough, and the Big Idea Mastermind. Mr. Strizheus has done really well since joining the online space from being an insurance salesman. All these programs are based around the online business mentorship niche and he has made millions with them ! Disclaimer: I must be honest and tell you that I fully expected the Four Percent Challenge to be a scam, or just another recycled and recanned system that everyone is using to Con people out of money! So I started this venture with a heavy dose of doubt! Maybe it is his past life as an insurance salesman that made me doubt it from the start. I’m not sure. What’s inside the shiny box? 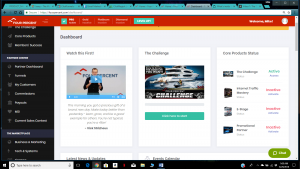 The Four Percent Challenge is a system where you follow the instruction, steps , and overall strategy of promoting the different products that Mr. Strizheus offers, as an affiliate, while building multiple streams of income. While doing these promotions lets say you promote them with a YouTube video. In this video or series of videos you explain the Four Percent Challenge without using the name. And then as you explain to people how to promote Four Percent, you have them sign up for ClickFunnels, Aweber and Click Magic to build their promotion Which are items that an internet marketer needs to be successful. And you promote these services with your affiliate link under each step of the training for that service. Pretty smart and ethical! Then You build on that promotion with the second training platform Internet Traffic Mastery. If you are tired of scams and empty promises, Learn more about my #1 rated way to make money online click the button below! The process is repeated and the multiple streams of income increase! This is all sound online marketing techniques and strategies and there is nothing unethical about it…..to a point…..sorta…. let me explain. Here’s the kicker! Now let me show you the platforms you are promoting, and you have to buy them yourself in order to promote them! There are other “Core Products” in his list of promotions that I wont go into right now, because I believe that you get the picture! 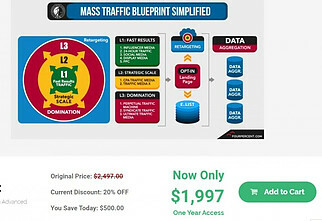 The Internet Traffic Mastey includes Mass Traffic Blueprint. And Mr. Strizheus tells you that it isn’t required to purchase the other items such as Internet traffic mastery. And you don’t even have to pay for the promotional partner plan topromote Four Percent. But since the entire challenge is about promoting Four Percent and training you how to best do that, and create multiple streams of income, it is important to the training that you are paying for already. So Where Does The Training Come in? 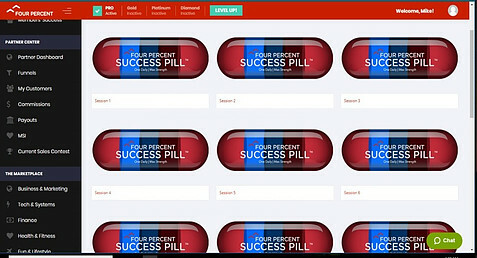 The training is set up as a (metaphorical) Daily success pill, and you can only access 1 pill per day…..for a reason ! The Four Percent Challenge has a 7 day free trial and by accessing 1 metaphorical pill per day you cannot make very much progress before that first seven days runs out. Then you start getting into the real training of promoting the products and pulling out your wallet, but no matter what Mr. Vick has already billed you for the first month. What the heck does four percent mean? Four Percent refers to the 80/20 principle, which is what caught my eye. In this principle which is also known as the Pareto principle, it indicates that obviously 80% of the wealth in the world is owned by 20% of the people. If you take that 20 % and apply the Pareto principle you will find that 20% of that 20% own 80% of the 20%’s wealth.And that equals 4%. Confused yet? I have no problem with the Pareto principle. It is scientific law and governs everything. For instance in a tree 80% of the sap is contained in 20% of the branches. In a given area 80% of the traffic drives on 20% of the roads, and 80% of your profit comes from 20% of your work. One of the main reasons I quickly became skeptical was because you are charged to promote a product as an affiliate by the owner of the product. To me that is like a car salesman paying the dealership to allow him to work there! Mr. Stizheus is a very animated guy who uses certain terms and actions repeatedly and gives me the feeling that he is attempting some sort of mind control! For instance he uses certain tag lines over and over like “know what I mean” and will say “it will change your life” as he snaps his fingers constantly.It seems like he is trying to use a Jedi mind trick. At the beginning of every training he has a still video with the audio recording of Earl Nightingale and his famous motivational speach, “The Strangest Secret In The World” which is part 2 of what got my attention. Many successful people have used the teachings of Mr. Nightingale to acheive success with the simple message that you are what you think about. Programming your thoughts are a big part of any successful endeavor and the teachings of Earle Nightingale were a part of my way of thinking before I joined Four Percent! So what is my determination of Four Percent? I can only guess what you think I’m going to say ! Are you already forming an opinion on this scam? I will explain ! There is a reason I report on products and services that I actually use. Like other products and services I have done reviews on, I actually use the product or service to determine whether it is a scam or not, instead of simply making a blog post based on other people’s blog posts. I ‘m of the opinion that people who do this are not being honest and offering truth to their audience ! I have not concluded Four Percent to be a scam…….yet, but there will be an update coming soon ! As a way to make money online, the Four Percent Challenge will work, but you have to promote a deceptive product , and buy their up sells! Personally I wouldn’t suggest that people begin their training and potential career with such a program. If someone is experienced and ready for “the next step” it may be a great opportunity, if you aren’t bothered by what is in my opinion borderline shady and unethical practices. Thare are E mail marketers and YouTubers promoting the heck out of Four Percent right now! I will give you a case study on one of these Marketers who is promoting on YouTube and how he is promoting Four Percent. Is the promotion a lie to get you to join? At the end of the video, he invites you to purchase his complete, step by step training course for $479. These systems that he trains you on setting up will require you to actually sign up for the system. He will instruct you on each video to “click the link below”, to sign up. (Note-This link is an affiliate link and he will get commisions based on your purchase which is completely legitimate because he has provided you with valueable training, and the services don’t cost any more through an affiliate link) In fact all of these systems offer a free trial and reduced rates for starters when the trial runs out. This is a completely honest format of marketing! *But this is where my concerns begin! This guy will then tell you how you can become a “promotional partner” of Four Percent. (Note-The only way to promote Four Percent is by being a promotional partner and the cost is $197, which is never mentioned) This is where my concerns really begin! There has been no value added to your experience at this point and you have followed this training you paid $497 for. You are now confronted with a road block to either pay the extra $197 or not! And the plot thickens from there with other items that are mucvh more expensive that are part of the promotional package! I don’t know if this practice is part of the promotional training at Four Percent. But I am about to enter that area of training and will let you know if it is, or this is just the way one or two people are choosing to promote Four Percent. I have paid my membership fee for this month and will be leaving Four Percent before it is due again. I will update this review at that time. But as of right now I will not recommend Four Percent. I can’t say that it is a scam. But I can say that I don’t like the business practices used as of now. If this changes I will add it as part of my review update. I would suggest a more ethical and honest way to start earning money online ! * July 2018-Update and final conclusion of Four Percent! After spending the better part of 2 months following the training at Four Percent, I have come to a roadblock! I cannot continue the training and process at this time unless I purchase the Promotional partner membership for $197. 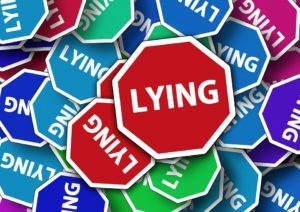 Since Websters Diictionary defines a scam in part by “an act of deception” as seen in this article, You would think I have to deem Four Percent a scam ! There are many reasons why someone would label it a scam, but to be able to have hard proof is one aspect of what I am attempting to do, and the roadblock caused by something that was not disclosed in the beginning qualifies Four Percent as a scam ! It may very well work and you could make a lot of money, if you want to promote something that is deceptive. But I choose to maintain my trust and good name ! Within Wealthy Affiliate I learned and built my first website and started my affiliate marketing education in a fun and exciting platform along with 1.4 million other people of all walks of life, incomes, and experience ! The constantly updated and top tier training at wealthy affiliate takes you from ground zero, all the way to a successful affiliate career ! And by the way there is no trial period to try Wealthy Affiliate. It’s FREE NOW , and it’s FREE FOREVER, if that is what you choose ! No catch and no risk! Not even a Paypal or Credit card involved ! Beat that ! You can learn more about this amazing opportunity and you can unlock your potential by checking it out for yourself! 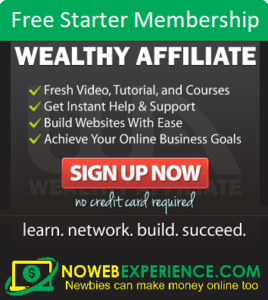 Your FREE MEMBERSHIP to Wealthy Affiliate is a click away! If I were interested in making money from this review by not being honest, I could be selling you on Four Percent and going after those big bucks we talked about earlier. I’m a member at both platforms so I could easily do that! But what is in my best interest is telling the truth, and building my trust with my audience and website visitors by earning that trust! Thank You for your time , and thank you for reading my review of Four Percent! If you have questions or comments please enter them below and I will get back to you as soon as possible ! Previous Post:Solo Ads For Internet Marketing- How To Build Your List Fast! Thanks so much for Your honest and thorough review on Four Percent Challenge. I know as You said, it is not a scam because You have tried it Yourself. However, considering the cost alone, plus the upsells which are not mentio9ned to You before You sign up, I don’t think I will personally gon in for such an offer. I mean why will I have to pay $49 per month and then an additional $197 before I can promote such an offer. I know very well that with this offer, even though it is not a scam, it will be very difficult getting people to sign up considering all the amount they will have to pay to be able fully benefit from the training program. Thanks so much for Your honest review. I will go a long way to help many people out there to decide whether this program is worth their money or not. Thank you so much for your comment Stephen ! As I said in the review, I was still going through the training and hadn’t made an absolute decision on whether I would label Four Percent a scam. But there is about to be an update and conclusion to the article wherein I make the decision that Four Percent is a scam. I don’t pass judgement lightly, but nothing has changed my mind, and now I am at the point where I will have to put out $200 to continue to chase the upsells. Part of Websters definition of a scam is tto intentionally decieve. And that is what Four Percent is doing. You have posted a very interesting read. I am familiar with Vick Strizheus but I knew nothing of 4 percent prior to landing on your site. Thank you for your very insightful and objective review. Like many, I had been scouring the Internet looking for a good opportunity to start an online business. I was very naïve back then. I’ll be honest…I knew nothing. Their ‘mantra’ was to show people how to make their first dollar online within 14 days. I actually took the course and in all honesty I learned a lot from it. Being completely new to this arena, obviously I had a lot to learn. But by the third day, I was already reaching into my wallet to effectively complete the 14 day course. It was only about $60.00 and I thought what the heck, I’m learning something, so I went ahead. What these guys did in my opinion was a ‘bait & switch’ because all of this hype was leading up to another program that would make hundreds of millionaires in one day at the pre-planned launch that was scheduled later that year in Las Vegas. We were all encouraged to reserve our spot at the top. To make a long story short, I finished the training and cancelled everything that I had planned to sign up for. It was going to cost thousands of dollars per year with no guarantee of success even if I were completely committed to it. Somehow, I could see the writing on the wall. What completely gave it away for me was when I read somewhere that Vick held the record for most earned in a 30 day period…approximately $750K with a company called Empower Network. I wonder what kind of tax liabilities these guys have. No wonder they have to sell such high ticket items which ultimately end up as some sort of MLM recruiting scheme. I’m glad that I didn’t follow through. The $60.00 or so dollars I wrote off as a lesson learned because I did in fact learn some marketing terms and how the flow of things should be. Project Breakthrough did not last very long and Vick and Jason went their separate ways to launch yet more projects. I really like your style because you actually don’t bash others to get your point across like many Internet Marketers do. Your objectivity serves you well in your writing. Jason and Vick are two very charismatic guys and they have a lot of capital working for them. I just get disgusted that their revenue comes off the back of honest (yet naive) hard working individuals that are looking for a break. If you are familiar with that organization perhaps you would not mind sharing your thoughts. I perceive you as a very genuine guy who says it like it is and I can see that you genuinely want to see innocent people not get scammed online. I’m glad that our paths have crossed. Keep up the great work. Onward and upward to success. Thank you for your comment Paul ! Amount I would not have labeled it a scam. Take for instance the promotional partner membership. That is the key to Four Percent working for the people who are already paying $49 per month ! Yet it is just a hidden and immediate up sell . Thanks again and have a great day ! And, Yes, I agree with you. These kinds of opportunities do not give people a fair chance. I have also learned that MMO fast can be a very demoralizing way to approach and start an Internet business building journey. This Niche is saturated with many “dark side” and sophisticated marketers that will recommend anything to you to make a buck. Thanks Paul! Your kind words mean a lot! My goal is to provide my audience with reletive and quality information. It’s very nice to see that people appreciate the work! I have to admit, you did make four percent challenge sound pretty interesting in the beginning, but after your recent update, I’ll make sure to stay clear of it. While it sounds like there is a lot of good training, it seems pretty costly and it seems they only want you to promote their product. I’ll stick to Wealthy Affiliate as they give you the proper training and have no upsells like this one does. Have you contacted anyone there who has actually made money with four percent challenge? Im actually in touch pretty often with one of the guys who promotes Four Percent. He has a really great YouTube channel and is turning about $16,000 per month with all his promotions combined. His Four Percent is about 10%of that. Hello Mike and thank you for this honest and up front review. I have tried these types of systems and to no avail no results. A lot of people want to find a platform that doesn’t drain their wallet at the same time. 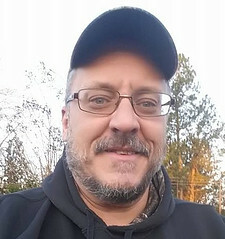 I’ve gained so much at wealthy Affiliate that I never thought would happen and plan to stay right there and I don’t have to promote their products. If I can help you or you have questions, feel free to post them and I’ll get back ASAP! Very interesting review. I’ll be saving this to read again, for sure. Thanks for the honest opinion. Much appreciated! I’m really glad that you got value from it! After watching the sales video, I have no doubts that this program works. The high-ticket items in the program makes me think this is for folks who are already in business and have succeeded to a point where they could invest in the training. What I don’t like about programs like this is that it lures everybody in, the majority being novices who take the $1 bait and then begin paying the $49 monthly subscription on top of the lower-priced of the upsells. What I hate about these programs are the upsells. I fully agree with you, this is where the scam is in otherwise excellent training programs. I don’t know if you know of Empower Network, or even if that program exists anymore but like many others, they work on people’s emotion by daring them to join, which then, triggers people’s pride mechanism in subtle ways. Sadly, people going into such programs hit brick walls. Their money has already been invested. By this time there’s no way to get it back in many instances because the guarantee has either expired or is conditional. Programs like this probably gain more in revenue from the many who hit these brick walls than actual that which comes from the high ticket items themselves. Could it be 96% never see the high ticket programs? Thank you for your comment Daniel! I believe that a high percentage never see the upsell. But YouTube is full of people promoting the Four Percent. I know of 2 guys who are making money on it, but both of these guys have the money to throw at PPC! And they get some conversions on their YouTube. One guy “Josh” told me that he has a 65% R.O.I. which is pretty good considering that he spends $10,000 per month on ads ! Scam products are a multi-billion dollar industry. There are so many people out there that call themselves super affiliates (which essentially they are.) The advertising campaigns used by scammers are quite similar to the one for Four Percent. In a case like this, I see the advertising and know exactly what’s inside because I have studied Argumentation quite extensively. The affiliates are aware of this and jump at any opportunity they can to get in on the kill here. This is what gives affiliate marketing such a bad name. 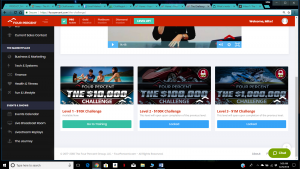 I found a marketer with advertising for a worthless product, hyping it up with the usual fantastic income claims from Binary Trading, and being shown to a very tiny select few, in spite of having way over 3,000 affiliate marketers in on it, a leader board showing high-ticket prizes for the best and I couldn’t list all the lies and misinformation in the advert. I take this stuff very seriously. Most of this stuff comes out of Asian countries that don’t have the strict laws on such fraud. They know how the media works in the United States, and how most consumers have lost the ability to differentiate between fact and fiction. They take advantage of this and target Americans more than any other place, and laugh all the way to the bank! Very little can be done about this and it depends mostly on the governments over there, but you and I can expose whatever we can with our reviews and intercept the process saving a few from fraudulent marketers, products and unscrupulous affiliates who don’t care what they’re promoting.! There’s room for many, many more folks who will write reviews on this stuff. It’s badly needed. Thank you for your comment Daniel ! There are a lot of scams out there, and there are many people falling prey to them ! help you make money online or offer assistance in actually doing it! I have only found three that I endorse! Hello Mike,I appreciate your review but plus permit to ask you this question. Is it possible or not to promote affiliate links of other products through the four percent group as it ils initially intenses for? Yes it is possible to promote other products within your promotion of Four Percent group. “Super Affiliate training” where they teach you how to promote Four Percent with solo ads. These solo ads use 4 other integrations and they have affiliate links to all Four. This is one major promotion for Four Percent that has a total of 5 affiliate promotions in one . Wow! Thank you for such an in depth review of Four Percent. It is kind of crazy that they can’t show you different tiers in their training. TO get through some of program only to be blindsided by another offer. I don’t like that, either.. I would want to know up front so I could plan for it or decide if it was worth total investment. I am definitely going to be looking into Wealth Affiliate university. Thank you for your time and your honest. If you have further comments or questions I would love to hear from you! Thank you for a very comprehensive and honest review of the Four Percent Challenge. When I hear people say how easy it would be to make money online, I immediately get suspicious. But with this product, I believe it is legit. However, I find this to be a bit expensive. I don’t think that paying $49 a month for the training is something that I would go for. The $49 per month pales in comparison to the $2200 in upsells that you have to buy. As soon as you said “Four Percent is owned by Vick Strizheus” I thought scam straight away. There’s a good reason why this man is well known within the internet marketing space and continues to release new “shiny objects”, because he is only out to make him and himself rich and that is it. I’ve tried many of his systems and they are all scams, never work and if they do you’re only conning others, just like a big fat pyramid scheme. I wouldn’t trust the Four Percent Challenge system as far as I could kick it. Four Percent is a legit way to make money online. But It will cost you to get there ! The initial investment makes it tough to get back to even! Thanks for the information on 4 percent Mike! There are so many of these programs and “trainings” out there, its often hard to tell which is real and which isn’t. I too am a member of Wealthy Affiliate and am so glad I found it! There’s always more to learn and its so helpful to have posts like yours and community support to weed through the scams and get to the real deal! Keep up the good work! Thanks for your comment and kind words ! I suggest to my readers, because I believe in it! Hi there Mike, great review here. I’ll definitely stay away from it; it looks REALLY shady to me. Thank you. Thanks for your kind words and your review Evan! Hi Mike, This Post is fantastic, and a very interesting read. I had not heard of 4% before but reading your article they seem to be using the people who sign up for their course as their own personal income providers more than really selling their training. It’s difficult when there is no transparency given by the course providers at the beginning of what fees will be implemented to complete a course. Some people cannot always afford those extras when training. Great investigating and a really clearly written article on the possible SCAM of 4%. If you would like more info or have questions ,please let me know ! Hello Mike, awesome honest review on Four Percent. I was unaware of Four Percent until I came across your article, and it doesn’t look promising to me. I have been a victim of various scams before in the past before I have joined wealthy affiliate. I recommend this program to anyone that is fed up with the 9-5 life, and looking to live the good life. Thanks again, and I wish you nothing but success!!! Thanks for your kind words and your comment Ahmad! It really means a lot when you can actually help someone make a decision and help them along their way with their online business! Have a great day, and don’t forget to let me know If I can help you in any way! I have looked into 4 percent myself a few months back and I must say that the tactics are VERY deceptive. What I don’t like is that they make you believe that you will receive ALL the tools necessary to make it big online with one single payment. But that’s not true! There will ALWAYS be upsells. That’s why it’s important that reviews like yours reach as many people as possible, to paint the real picture of what it takes to be successful with this system. I’m so tired of these white lies or that they “forget” to mention the upsells. It’s frustrating. It makes it hard for people who are looking for a way to make money on line to know beforehand whether the program will suit their situation and their needs. Thanks for your comment Reyhana ! feel uncomfortable promoting such a deceptive product! Hello Mike, great honest review. 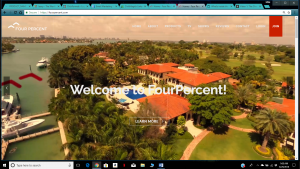 I have never heard of four percent before, and despite it not being a scam, I would recommend Wealthy Affiliate over Four Percent to anyone. With WA, you are taking no risk, and it can be a life changer for you. Thanks for the heads up!!! Thank you so much for your kind words and your comment Ahmad! I love that you actually tried four percent before giving a review. That makes everything you are saying 100% more trustworthy than the majority of reviews out there. Personally I believe this is a scam from reading your review. I think what makes a great scam, is one where people will make a little bit of money, but never the amount promised. Also I feel anything you have to pay for before getting all the information, is just a lie. I mean, I don’t pay my boss to learn everything I will be doing at work, nor did I pay him for my training or to promote his business. So why should people have to shell out their money before getting all the information for four percent? It doesn’t make sense to me. and the way you describe how mr. stizheus is overly animated, and snapping and repeating himself, definitely makes me think you are right about it being a jedi mind trick. Thank you for your comment McKenzie! I have to admit that like In said in the review that the Four Percent Challenge is not a scam! You can really make quite a bit of money from it, based on the setup. It is a very well thought out program. I wouldn’t feel comfortable promoting or recommending it because there is so much secrecy involved . It makes you think that the $48 per month is the entire stake you have in it, when in fact the money spent is in the thousands! Thank you kindly Mike for your rather detailed insight to the 4 percent challenge. I have a large dislike of anything that wants me to pay to promote it. I find that part somewhat unethical. When you buy into a franchise operation like McDonalds you get the product, high quality training and a lot of marketing done on your behalf to aid your new business. These “buy to promote” offer on the internet offer no such support. Besides, it almost defeats the purpose, If I buy 4 percent and get the right to promote it would I not be creating a bunch of competition for myself? a whole group of people who are going to promote and sell 4 percent themselves? Thanks for the kind words and your comments! Four Percent has become quite a bit saturated with people posting YouTube videos and e mailing . But it is still being promoted like crazy ! The people who get in first always have the best results. This sound like one of those programs that require you to shell out on the front end before anything is ever conceived on the back end. Not just monetary but of value! What kind of training are they offering for that type of money. I have come to realize that if a business can’t be transparent as to what’s going on then they may have something to hide. I do understand why you wouldn’t yet recommend this product because there is not enough info to do so. I just hope they don’t take many people to the cleaners before they make off with a healthy bounty. Thanks for the kind words and your comments Shannon! There are many Affiliates who have made various amounts of money with Four Percent, but many times more who have lost their investments ! 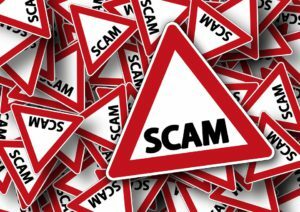 I have read about so many scams lately that I am utterly disgusted with what I see. There is so much dishonesty going on about making money and ripping others off, that I can hardly believe it. I am glad that you tried the product and found out if there were things about it that could make it a scam. That information is very valuable to me. What caught my attention is that the promotional videos on YouTube do not share the product but that you first have to click. I think that already tells you something about it that is not right. Why would you wait to share what you are talking about? Thanks for bringing this scam to awareness. Thanks for the kind words and your comments Oscar! Four Percent has been saturated all over YouTube and E mail lists but it’s still growing and is one of the biggest promotions going! I feel for people who get involved thinking that it is something that it isn’t! Thanks for the information. Even if their methods work, this doesn’t seem like it’s worth the money you have to pay for it. With all the shady “get rich quick” and MMO sites, it’s nice to see people warning against them and saving beginners some time, money, and frustration. Great work! I was a member of the four percent challenge before joining WA again. My initial thoughts were this is fantastic. The training offered in the challenge was brilliant. And Vick clearly knows his stuff. I had a fairly large budget so was able to buy the ongoing products as the challenge went on, however I can see how this could be a sticking point for many others, as they are not cheap. And unfortunately you can not carry on with the training without them. I can see why many give negative reviews because of this. 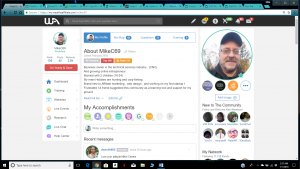 The reason I left is because I had got to lesson 33 of 60 in the 10k challenge and than from that point no more lessons were released, and vick started concentrating on updating one of his other products and releasing a new one. This annoyed me as I was playing a monthly subscription and had spent out 1000s on his other products. I waited for 5 weeks I believe it was and still the next lesson wasn’t released. I am sure it has been now though. The fact that I was paying for an unfinished product didn’t sit right with me. Thanks for your comment David! You are absolutely right! The Four Percent Challenge is not a scam, but is an opportunity to make quite a bit of money! I have some issues with the way it is promoted and the tactics, but can’t say much about it in a bad light except that people get involved thinking that it is a $48 per month investment and it ends up being far more! You can get the same type of training and in my opinion far better for a lot less investment at Wealthy Affiliate. And everything at Wealthy Affiliate is up front with no secret up sells ! I think four percent challenge is definately a scam. The owner Vick Strizheus called himself a traffic Master but if you follow his technique you would only lose your money and time. He had uploaded hours long videos on Youtube on affiliate marketing a few years back that I followed but didn’t get any result. There is unneccessary upsells and that is the prime reason why he created his course to convince people to spend more and wait for the result that sadly do not happen. Thanks for the honest review and telling the truth. Thank you for the kind words Sanjay! The time I spent inside the Four Percent group was an interesting time. I was actually excited ! But then I saw that the free trial runs out and you start paying a monthly fee before you learn that you have to pay for a bunch of up sells in order to progress in the system really turned me off ! I don’t think that Four Percent is a scam. But I’m not crazy about such tactics and in my opinion it’s not honest enough for me to recommend it. I would have stayed in Four Percent, but a big part of their program is promoting Four Percent, and I made my mind up that I would only promote products and services that I absolutely believe in! I’m glad you got some value from this review and like what you see inside Wealthy Affiliate! Congratulations ! I suggest that you stick to the training and put forth your best effort! If you do that you will be surprised how far you go! It’s not a get rich scheme , but the training is for real and works as long as you are patient ! If you haven’t already found me, my username is MikeC69. Get in touch and if you need anything at all please reach out to me , because I would love to help! Thanks for a informative and truthful review of Four Percent challenge. You must be incredibly busy keeping up with training and working two different affiliate programs. I do hate that people can be so easily taken advantage of like this with online training. Its like hidden costs that you can’t progress unless you spend the money. Their are obviously some good things to the program and some not so good things. But personally I don’t think I would touch this sales affiliate program. No matter what program you choose there will be commitment and work involved. You’ve done a great job here informing us of how four percent works and showing us another way we can learn how to affiliate market without the associated costs. I started the Four Percent Challenge as a way to build a second income stream in my online business but found that it wasn’t what I thought it was. I didn’t want to promote a program that has so many high ticket up sells that are hidden until you get inside and try to get started! There could be a lot of money involved, but there is also a hefty investment ! I didn’t feel comfortable with it!, and didn’t want my readers to think I was trying to scam them or something! Hi Mike, thank you for your honest and thorough review of four percent training program. I had never heard of it before I saw your article, but since I am always looking around for an online business platform that seems a better fit, it’s great to be able to discount another program from that list of possibilities and just concentrate on the program I’m on already. This alone is very valuable as it will stop me and others making costly mistakes. Thank you for your kind words and your comment Michelle! If there is anything I can do to assist you along your journey, please don’t hesitate to reach out! I actually started and got to about day 21 in the training when I saw that continuing was going to turn into a sizable investment! I was already building my niche website rankings and decided that I would feel better doing that full time than promoting something that isn’t up front! At first when I saw that it had a $1 for 7 days kind of trial, I thought this is pretty cool. The problem really starts when you have to buy their hundred or thousand dollar product in order to make money from it. That is a major no-no in my book. While i do agree that if you stick with their training and pay up, you might eventually find success but the cost is just too high for a beginner. Not to mention that there are better and cheaper programs out there, at a lower price. Thank you for your review and you are absolutely correct Lucas! The Four Percent Challenge absolutely works ! I know people who are making boat loads of money with it. But I also know people who have lost boat loads of money with it! If you have a great income and can afford the risk that is one thing. But people who are starting out and don’t have those means start for $1 and then feel trapped by the “must opt in sales funnel”. The entire point of the training and up sells in the Four Percent challenge is to promote the Four Percent Challenge. I just don’t feel comfortable spending all of that money for the option to promote something that is in my opinion a trap! Best of success and have a great day! In spite that MOBE and Digital Altitude has been closed down by FTC, I still see so much of dishonesty and scam going on later. I really appreciated for bringing this so called legit but scam program to our awareness. Their undisclosed upsell products is totally disgusted and unethical. Glad that I found Wealthy Affiliate which is totally transparent in their dealing and provided all the features we need to succeed in our business endeavour. Once again, thank you for alerting us yet another possible scam program. Wishing you nothing but success. Firs I am really glad and excited that you have found Wealthy Affiliate! I get more and more comments from people who have found the value and awesome training at Wealthy Affiliate, and I think it’s absolutely great, which brings me to this point! The content, value and overall experience that you get at Wealthy Affiliate is the exact opposite of what you get with a scam. Wealthy Affiliate doesn’t make bogus and unrealistic claims. They tell you up front that the training , mentoring and community will get you there. But your success is completely up to you! You have to put in the effort, time and patience to create something really big and earn passive income from it! There are also no up sells at Wealthy Affiliate! There is a free forever membership that provides actual content and value that helps people get started, and then there is a premium membership for the price of a soft drink everyday that is remarkable! It opens up an entire level of tools and means for anyone to 10X their entrepreneurship dreams! That is why Wealthy Affiliate stands head and shoulders above everyone else in their user reviews and success stories.! They don’t have to hire actors from Fiverr to sell Wealthy Affiliate, it sells it’s self with honesty! Sorry for such a long reply! But hearing that you are on your way without getting scammed makes me excited for you and everyone who finds Wealthy Affiliate! Best of success my friend!